Shown with standard blue fleck. Appropriately named as this is the flooring you'll be walking on in the country's most popular UK fitness centres. Our Fitness First Flooring is black with blue fleck. Unlike most fleck matting, the fleck is also rubber which does not compromise the strength and durability of the flooring. This flooring is seriously heavy duty and proves very difficult for us to even cut samples in the office. 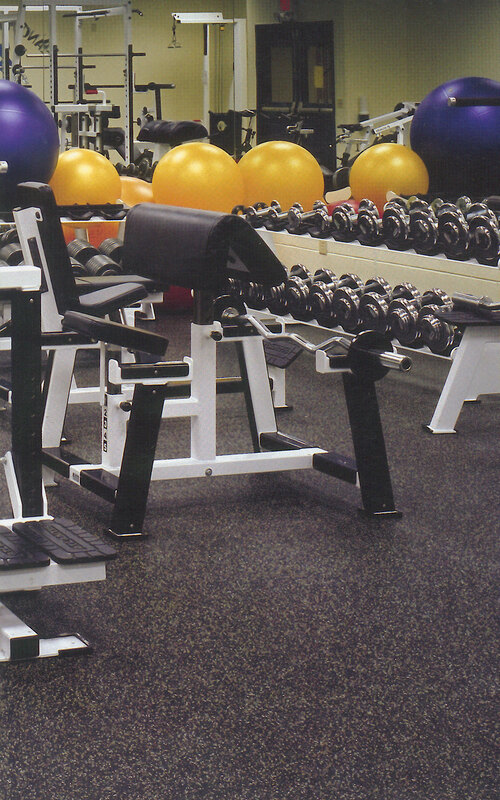 Fitness First Rubber Flooring comes in 10m x 1.25m x 10mm thick rolls. NOTE - These are solid rubber and NOT for use as "exercise mats" ! MONEY OFF COMMERCIAL MATTING when ordered with GymRatZ Gym Equipment. Also available in 12mm for extra heavy use and very high wear areas. Each roll covers 12.5m sq.